Our Group Founder, Shri O.P. Jindal was a visionary par excellence. He inspired millions to follow their dreams. His ability to foresee development and the commitment to build a self-reliant nation created a paradigm shift in India’s industrial scenario. With this patriotic zeal, he laid the foundation of O. P. Jindal Group - one of India’s largest business conglomerates with presence across various core sectors of the Indian economy. His legacy and the vision of inclusive growth are being carried forward by the O. P. Jindal Group companies through various initiatives in education & vocational training, healthcare and community development activities across the country. In 2007, the Group instituted the O.P. 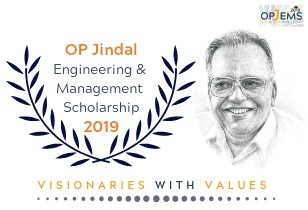 Jindal Engineering and Management Scholarships (OPJEMS). These scholarships are aimed at promoting academic and leadership excellence and are awarded to meritorious students who emulate the vision and values of Shri O. P. Jindal and have the potential to become leaders in entrepreneurial excellence and innovation. 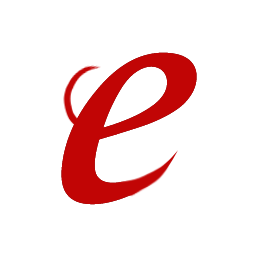 Every year, 100 students from 40 premier engineering and management institutions are awarded. In last 5 years, more than 500 students have been awarded with this coveted scholarship.